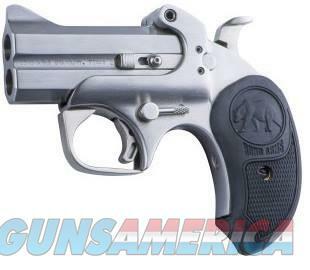 Description: This brand new Bond Arms Papa Bear is a 2-shot derringer which fires the .45 LC round & .410 gauge shell. It has a 3" barrel and stainless finish. this includes a hardcase and manual.